Premier Sports will not broadcast Toronto games in 2019. The television and online broadcasting channel have confirmed that they will not be showing any Championship or Challenge Cups. 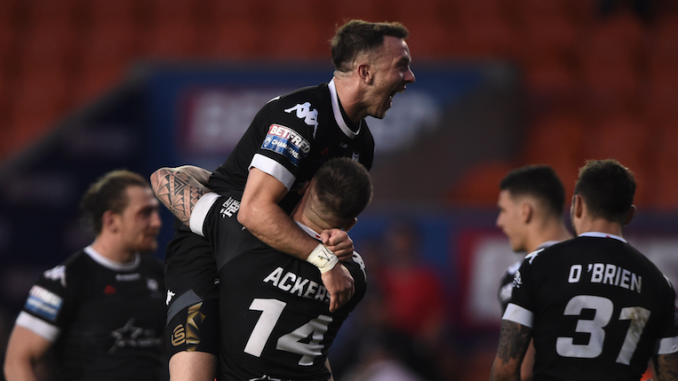 Premier Sports have broadcasted the Wolfpack’s games over the last two seasons, so UK-based rugby league fans could see the Canadian club live in action, but that will not continue in 2019. It is also unlikely that FreeSports will be broadcasting any Championship or League 1 matches next season. Sky Sports usually broadcast the Summer Bash live, but they have yet to confirm if they will be showing second-tier matches on more of a regular basis next year. Toronto are the bookmakers’ favourites to wrap up the Championship next season and gain promotion to Super League.